After much consideration, we decided this 6000 sq. 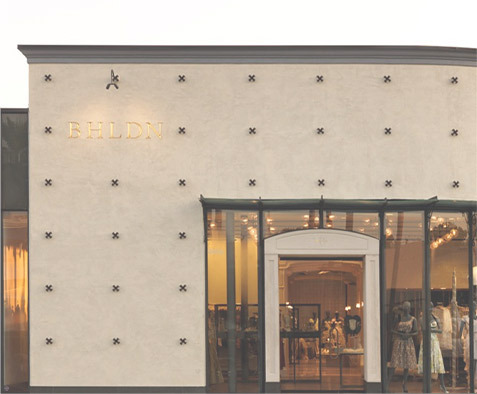 ft. corner beauty in Houston's popular Highland Village was the perfect place to open our very first bridal shop. Because if there's one thing the Houston area knows how to do it's celebrate! Every detail of the bright and spacious shop was chosen with the bride, hostess, gala-goer, prom-attendee, and debutante in mind. Three exquisitely appointed bridal salons are available for private booking and are equipped with iPod docks so that brides-to-be can enjoy their favorite tunes with family and friends. Stop in to browse our wedding dresses, bridesmaid dresses, and party accessories at any time, and be sure to take advantage of Highland Village's complimentary valet parking. Contact the store's concierge for dinner and hotel recommendations in advance if you're from out of town!